Northcott At the Feeder PTN2361. Based on Northcott's Bird Song fabric collection. 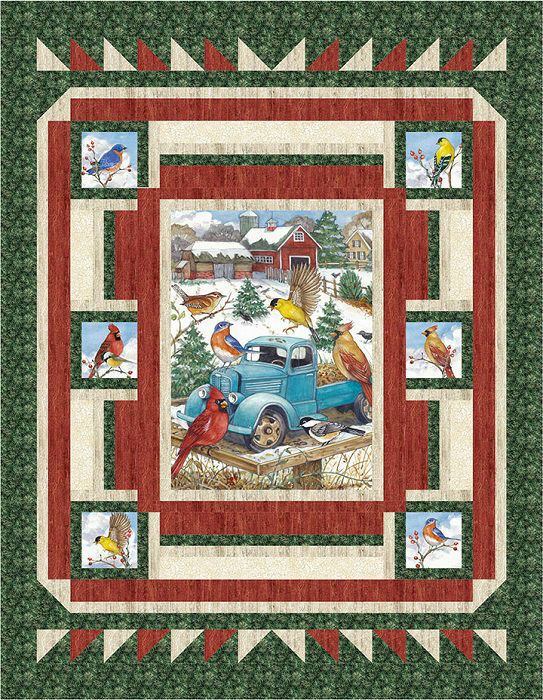 A rustic and colorful vision of beautiful digitally printed winter birds in a country setting. Finished size: 48" x 62". 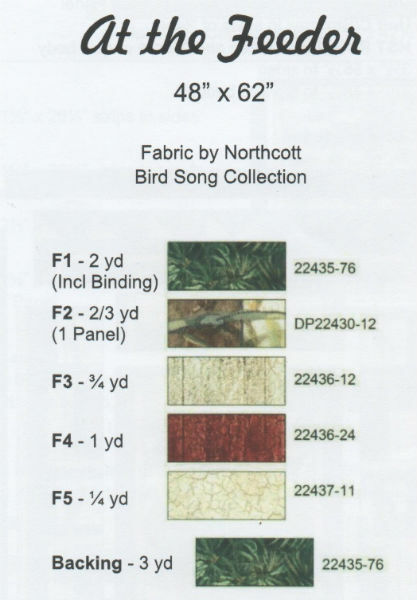 See second image above for fabric requirements.